U.S. 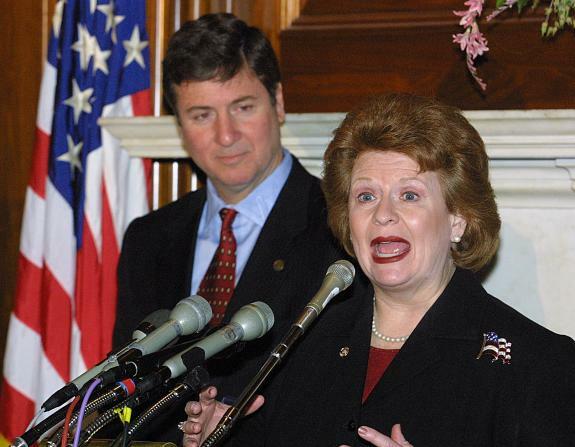 Senator Debbie Stabenow, Chairwoman of the Senate Committee on Agriculture, Nutrition and Forestry, applauded President Obama for convening the White House Rural Council and responding as forcefully as possible to this year’s record-setting drought. At Chairwoman Stabenow’s urging, the U.S. Department of Agriculture (USDA) issued disaster declarations last month that make emergency loans available to help farmers, ranchers and agricultural businesses who are recovering from a spring deep freeze and the worst national drought in more than 50 years. The White House has now announced a new round of disaster relief to support farming families and the nation’s agriculture economy. The announcement comes as the House has yet to take up a new Farm Bill, which includes significant disaster relief provisions and would provide farmers and agriculture businesses the certainty they need to invest and grow. USDA Secretary Tom Vilsack was in Michigan with Senator Stabenow this week to talk to farmers hurt by this year’s inclement weather. The new Farm Bill provides farmers the certainty they need to plan for the upcoming season and strengthens initiatives that help farmers and small businesses continue to grow America’s agriculture economy. It is also the only bipartisan bill to cut spending that passed the Senate this year, reducing the deficit $23 billion while ending direct payment subsidies, streamlining programs and confronting program abuse.